Mvix, a leading provider of content-rich digital signage, today launched a completely automated Box Office Display solution for theaters. Sterling, VA, August 30, 2016	(Newswire.com) - Movie theaters have high dwell times. According to Arbitron’s 2007 cinema advertising study, frequent moviegoers spend an average of 28 minutes in the theater prior to the start of previews, and infrequent moviegoers spend 24 minutes. Theater managers can take advantage of the high dwell times by leveraging the digital box office display solution to make the pre-show a larger and more fulfilling part of the whole cinema experience. The solution automates the delivery of movie posters and trailers to digital displays in theater lobbies and hallways, significantly reducing the amount of time and effort required to generate and deploy engaging movie posters. 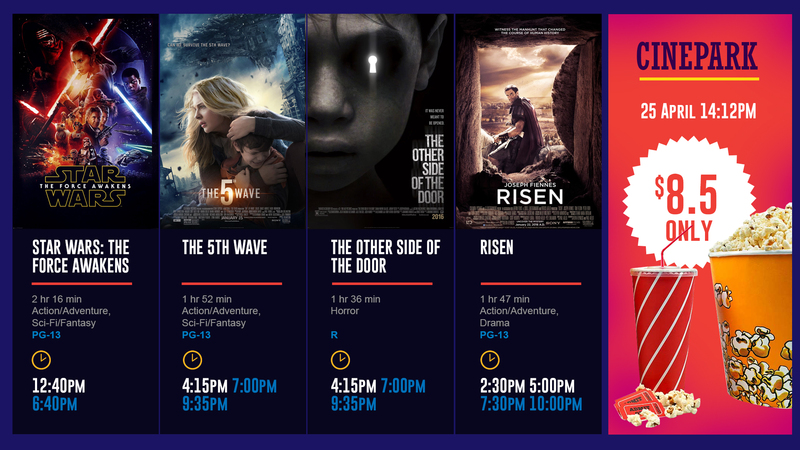 With just a few clicks, the solution’s extensive repository of animated posters allows managers to easily provide guests with real-time information regarding showtimes, ratings, pricing and video trailers. The solution enables managers to select multiple movie titles and create a playlist of dynamic posters that'll turn lobbies into highly engaging movie showcases with palatable and highly consumable content. Managers are able to make the pre-show an engaging social environment which increases stickiness and drives revenue. The Digital Box Office Display solution increases the efficiency with which managers create a stimulating cinema experience. The highly automated process of retrieving and deploying engaging movie posters means managers can quickly and easily enhance interactions in the lobbies and hallways. The digital movie poster solution also enables managers to tap into our innate tendency to respond strongly to visual stimuli and motion by providing animated, eye-catching HD movie posters with 'living' information such as dynamic trailers, showtimes, and ratings. The solution also enables movie theater managers to improve the quality of their marketing. The aforementioned Arbitron study noted that 80% of moviegoers look at posters while in the lobby or concession area, and 54% notice advertising on concession whether or not they consumed any of the items. The same study notes that these moviegoers, the youth market, are more likely to embrace movie theater advertising than ads targeting them on the Internet, before programming on DVDs and embedded in video games. This is a ripe opportunity for managers to engage patrons with relevant marketing messages and strengthen communication with moviegoers. The digital box office display solution facilitates this by serving a dual purpose of displaying animated movie posters and concession and loyalty program promos on the same display banks. The digital real estate offered is limitless and managers can easily promote concession stand combos, loyalty programs, advanced screenings, digital events that offer cast and crew panels, etc. This will drive attendance and increase revenues as moviegoers are highly receptive to such content. By integrating marketing messages, the digital box office display solution unifies traditional movie posters, box office display, and concession stand signage. Managers can use one platform to manage lobby advertising, the box office, concession stand, and pre-show and post-show displays. The cloud-based platform can be managed remotely which creates a lot of flexibility in running the signage. The solution is also multi-user which makes it ideal for theaters with multiple locations. Senior management can have multiple users (movie theater managers) and assign highly specialized permissions to each one of them. This enables brand consistency while at the same time giving managers the autonomy to tailor their theater signage to their target audiences. A critical feature of the solution is the integration with multiple content widgets such as RSS feeds, clock, QR code (can be used to download movie info on phones), YouTube, HTML5 scripts, etc. The most important is the emergency alerts widget. In the event of an emergency, the display banks can be used as emergency messaging solutions. Emergency alerts, including CAP alerts from local and national sources, can take over the displays and override current content to provide information about the emergency and instructions on what to do.